Q- Can any Nationality buy property in the UK? Yes. The UK is open for investment and all nationalities can buy. About 30% of our clients are non-UK nationals. Many of our clients that are from the UK are expats currently resident or working in other countries in Middle East, Africa, Far East and Europe. Q- Can I buy a UK property without visiting the UK? Yes – but we recommend that you do visit, meet us and view the types of properties and then decide. If you are visiting later, you can still buy but we will need to get your documents (passport and address ID) attested by a lawyer in your country to the satisfaction of the UK Land Registry. This can be done easily and we will provide full details. Q- What is the location of these investment properties? The investment ‘best buy’ properties are located in the towns of Lancashire County (district), just north of Manchester City and Manchester Airport. There is very good rental demand here for low cost properties. Property prices are low and now growing – and rental yields (rent as percentage of property price) are the highest in the UK. In the past these areas and the North in general was depressed with high unemployment. However now, unemployment is only 6% (compared with 5% in the South of UK), there is much more investment, and property prices and demand are rising. Q- Are property prices rising in the UK? Yes. 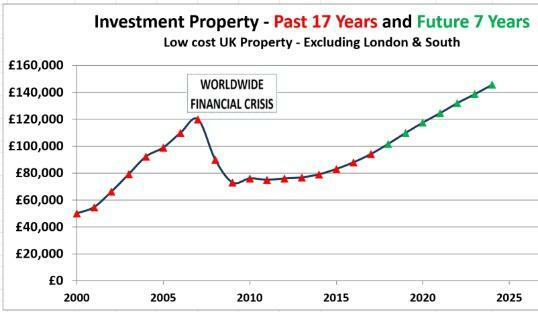 Property prices fell in the UK from 2007 to 2010. The fall was greater for lower cost properties and for properties outside London. These are the properties that will now jump up the most in price. Prices have started to rise again since 2013. Average growth in the UK is around 7% (see the chart under UK Property Market). Q- Should I consider buying under-construction or off-plan property? Take extra care when purchasing an investment property that is yet to be built or is under construction. The risks with such properties remain high. The project could be cancelled and there can be delays in completion and then in renting the properties out. Prices are often inflated by developers, as properties are difficult to compare. For investment, only consider property that is built and already rented out. Further, you should buy from a company that has control over the property and remains responsible to you after the sale. Q- I am familiar with buying property – Why should I use Find UK Property? If you have the time and are willing to take on the responsibilities & liabilities, and want to deal with things yourself, then it is indeed best to do it yourself. Many such houses will need renovation and will have to be legally compliant before renting out. They will need on-going maintenance. This is easier if you are living near your investment property location. Otherwise, our company will deliver better overall value with no hassle for you – over the long term it will be more profitable for you. Q- I have seen cheaper prices. Can I buy cheaper? Yes, you can – but it will cost you more! The market price does vary with what is included in the property, its underlying condition, if recently well renovated, and street location at a very local level. Historical prices are of course lower. Even the current prices on online property portals in any particular postal area or street for the same type of houses in the North West can vary greatly. Houses next door to each other may have a difference of around £20,000. The reason for this is the internal state of the house and degree of renovation. These houses are below the re-build cost – thus degree of renovation has a big effect on the property price. Also be aware that properties that are derelict or for auction sell for much higher than the guide prices which are shown as very low to attract bidders. They have often come to auction as they have not sold and often have structural issues. They can be end up being much more costly than properties in the open market. Even if you get a property “free of charge” with structural issues that needs everything doing (electrics, central heating, windows, roof, damp-roofing, new kitchen, new bathroom, full decoration and carpets etc), it can end up costing you more than £55,000! The overall value offered by our package is unbeatable and we work very hard at every level to achieve savings, so we can offer everything to you for just £55,999. Q- What is the difference between you and normal Agents? We are also Estate Agents and Letting Agents but we do work differently and take on board most of the responsibilities and liabilities of being the landlord. You are the owner, but with your permission, we become the landlord. Other agents will not do this and they make their profit from you (charging you extras and for maintenance), whereas we make our profit by keeping your property maintained and rented out to get the best possible income. Many of our clients are abroad or in the South and the services provided by normal letting agents and estate agents are not suited to their needs. Q-Why do you not offer Mortgages for low cost investment property? Borrowing to buy an “own use” property can be a necessity and better than renting. However, our current view is that for secure property ownership, you should not borrow to invest. Loan set up charges and interest rates are high on low value loans – so your returns are lower. Plus your are not the true owner (the bank is) and with buy-to-let mortgages you have less rights than an “own use” mortgage. From our viewpoint mortgages makes the process cumbersome and introduce delays – so we do not accept them. The low price of these properties enables clients to buy without a mortgage. This also enables them to gradually build the number of properties they own by using their own savings and the rental income to re-invest in more purchases. We have many clients who have used this system to acquire a new property every 2 to 3 years without any bank borrowing. That way they have built a secure portfolio of very good properties to generate income for their retirement. Q– Can I get a discount from the prices shown? No. For investment properties, the prices shows are the actual final contract prices. You will not be able to purchase at a lower price. The price may be higher if there is a delay between you getting the information and signing the Reservation Agreement. This is because prices in the UK are now rising by about 7% per year on average. The only way to secure the lowest price is to make a decision sooner. Once the Reservation Agreement is signed, the price is fixed and will not increase. Q – Do you sell only to overseas buyers? No. About 20% of our customers are resident in the UK. We specialise in, and are very good, at helping overseas buyers for the long term, and our group companies have offices overseas and specialise in international property. Many of the overseas buyers are actually UK nationals working overseas (UK expats). However, many UK resident customers who are looking for a ‘total investment solution’ with minimal involvement also buy from us. Q- How do I get to see you at your offices? Our customers usually land at London Heathrow or Manchester airport. Some travel from London by train to Preston (2 hours). For qualifying customers, we provide a collection service from the airport, railway station or hotel. Normally we would have meetings at our offices and then show you the agreed properties (allow 3-4 hours for the visit). We can also take you to meet other professionals, if needed, such as the solicitors on the same day (e.g. for formal ID and attestation of documents – if not already done overseas). After your visit we drop you off at the station, airport or your hotel. Q- How can I view properties? Our staff can show you the different type of properties and locations. A visit takes 3 to 4 hours and a prior appointment is necessary. You have to follow our procedure and need to provide ID details before visiting. UK regulations specify that we have to identify you before we start dealing with you. For investment properties, approx. 40% of our customers, view prior to purchase; approx. 40% pay 10% to secure the price via the reservation agreement and then view prior to the second (90%) payment; the remaining 20% view when they next visit the UK and use documents that have been attested by a lawyer in their own country. For ‘own use’ properties, we insist on all customers viewing before any decision and payment. Q– What is the biggest purchase issue for overseas buyers? You will also need to state the “source of funding” – normally this is from ‘savings’ or ‘business profits’ and bank statements may be needed to prove funds. If you are not able to visit at present and are not in the UK, we will need attested copies prior to the exchange of contracts. These can be attested by any UK solicitor beforehand (e.g. at the viewing visit) or by a Lawyer in the buyer’s own country, in which case the Land Registry form ID-1 will need to be completed. Full details and instructions are provided. Q- Can you get cheaper investment properties? Yes. For investment properties, prices vary by rental yield. This applies all over the world. In this area we can acquire slightly lower cost properties but the rents on these are lower and they may need additional work before they can be rented out. We do not sell such properties as we have to provide guaranteed rent. So the prices on the investment property page are the lowest prices we can sell for and these prices will go up. Currently the lowest cost properties we sell are just under £56,000. Q- What are costs of purchase? Stamp duty transfer fee is now also payable to Government on these properties at rate of 3%. You can gain exemption from this if you do not own another property. This fee is additional to the purchase costs mentioned above. For a property of £60,000 stamp duty (if payable) is £1,800. Q- Will you continue to manage the property after the first 3 years? Yes. Most owners ask us to continue to manage on their behalf under the Net Guaranteed Rent System – but you are not tied to us. You can use any other agent or manage yourself if you wish after the first 3 years. Q- What are the on-going running costs of investment properties? All these items are FREE for the first 3 years. Thus you have no property maintenance costs at all. All of these are included in our package. The main reason why we can offer this free of charge is that we do not expect any significant repair costs in the first 3 years as properties are freshly renovated at start. After the first 3 years clients continue with a maintenance package. The Standard Package shown above costs 0.5% of property price per year (only £280 per year for H1 2-bed house) after the first 3 years. The only thing you will need to pay for is £99 per year for property insurance after first year. Q- Can I buy an investment property and immediately use it for myself? No; these are already rented out at time of transfer. But after the purchase, you can give notice to the tenant and then use the property yourself if you wished to do this. Usually, our investors do not do this and they leave the properties rented out. They then use the rental income to rent something suitable as needed. Q- I may decide to live in the UK in the distant future or my children may study there. What do you recommend? You should get multiple lower cost investment properties now. Then, when you or your family move to the UK, re-sell these and get an ‘own use’ property which fulfils your needs at that time (your needs will change), and is near to your place of work/study or where you want to be. This will allow your money to grow at a faster rate, will be lower risk, and will provide you with more flexibility. You could also decide to keep your investment properties rented out and use the funds to rent something suitable for yourself – especially if you were only coming to the UK for 1-2 years. Q- Can I use my property for UK Holidays? You cannot leave properties in the UK empty for long periods for security reasons and because they develop damp if doors are not opened and property lived in. If you rent out, then the rental agreements are normally for minimum of 12 months. You will need to switch all of the utilities (Gas, Electric, Water, Telephone Line, Internet to you names. Many of these have longer lead times to do the switch). After you leave, these need to be disconnected or switched to new tenant. You may wish to have holidays in other locations e.g. London – whereas all of our low cost properties are in Lancashire. Property may be empty for a while after you leave before tenant moves in – so you get no rent. For all of these reasons it is better to buy a “pure investment property” and leave it rented out all of the time. Then keep the rental income in the UK and use some of the rental income for your holiday accommodation. This ends up being more flexible and lower cost and is actually what our clients end up doing – even though they may be thinking like this in the beginning. Q- Are these properties new? No. Around 80% of the properties in the UK are almost 80 years old. In percentage terms there are very few new properties in UK. All of these properties are over 80 years old. They are more solidly built than the newer properties – usually built of real stone and slate roofs. Q-What is the Rental Market like? Most people in the North West of UK live in these type of properties. 70% are owner occupiers living in properties they own themselves and about 30% are in the rental market – mainly owned by local investors from the same city. Most of the rental demand is at the low end of the market. We do not rent out to students and most of our tenants are long term working class couples and small families. We normally have waiting lists for our properties and there are no issues in renting out quickly. We manage our tenants well and are a good landlord – much better than the average; so our properties are always in demand and our average tenancy is double the industry average. Q-Can my children use these properties when they come to Study in the UK? Some clients initially are looking for a property that is near a University so that this can be used by their children if and when they do come to study in the UK. Our advice is that if this is your main aim – then you should NOT purchase property yet. The problems is, that the selected property may not be in the right location, in the right community, convenient for your child – even if it is near the town you think your child will study at. It is better for your child to initially (near the university campus) and have the ability to move around to ensure they are in a convenient and safe location for their studies. We have many clients from overseas who wish to do this but practically they never end up using their own properties for one reason or another. Instead if you do want to get a UK property, it is better for you to get a purely investment property that you leave rented out all of the time. You can then keep the rental income in the UK and use this income to pay for your child’s University accommodation. This will give you and your child more flexibility. The rent can be paid into a child’s bank account with permission from owner. We would need to check the ID (passport copy) of child too. Q- Do I need a bank account to buy property in the UK? No – Most of our clients do not have a UK bank account and it is not required. Rental payments can be made into their accounts overseas – usually on a quarterly basis. Later once property is acquired, some may wish to open a non-resident UK bank account. Some may also open a GBP currency account with their own overseas bank. Under new rules, a standard UK bank account cannot be opened if you are not resident in the UK. Q- How and when do I make payments for investment properties? Payments are made after you have agreed to purchase and have signed the reservation agreement. Property is always priced in sterling pounds (£). Payments can be made in any currency and can be converted to £. Normally payments are made into client accounts in £, USD, Euro or AED. The first payment is normally 10% plus the purchase costs. The remaining 90% plus stamp duty is paid prior to completion and title registration. Receipts and statements are issued after each payment. The final 90% payment is normally a couple of months after reservation but can be extended at request of Buyer to up to 6 months if needed and can be made in instalments. Normally, under the Guaranteed Rent System the rent start to be credited to the owner 1 month after the final payment. Q- How do I choose a specific house for investment? You select a type of house from the 3 or more main types of investment homes available. At reservation, you can select from a choice of several properties of the type reserved, and you thus are allocated a specific house provisionally but can switch to any of our other un-allocated units at the time of viewing (providing you do this prior to legal exchange of contracts). The specific property that is transferred to you is with your 100% agreement. Q- Do you offer larger properties with similar deals? No. The rental yield percentages are less for larger properties. (Prices are higher – but rents are not much higher). Thus, we do not offer such deals on larger semi-detached or detached properties. Q- Is there anything better for investment? No. We regularly look at other areas to see if we can achieve the same benefits; however, at present, like in other countries, lower cost properties with high rental yields are the best forms of low risk investment. Prices in other areas (London, The South, Major cities) are much higher and rental yields % are lower. Q- My budget is much larger. Should I buy a more expensive property? No. You should buy multiple lower cost properties if your aim is investment. These will grow better in value, give higher rental yield, will be of lower risk and provide more flexibility than one big detached property. However, complete the purchase of one property first and then buy more once you have been through the process – especially if you have not purchased in the UK before. There are 3 main categories in the UK. Category 1 – Freehold and ‘999 years’ Leasehold: These properties are grouped together, as 999 years is a long time. The market value is the same, and for purchase and sale purposes these are treated in a similar way. All of the investment properties fall into this category – either freehold or ‘999 year leasehold’. Most of the properties in the North West are of this type. This is the best category. Category 2 – Leasehold ’99 years’ or ‘125 years’: These types of properties are popular in London. Almost all apartments/ student flats fall into this category too. The value of such properties is less, especially if they are old with fewer years remaining on the lease. If the lease gets shorter than 60 years, the value can be affected as mortgages can be more difficult to obtain. However, now, under new laws, leases can be extended without excessive penalty. Category 3 – Leasehold ‘3 to 20 years’ typically: Such properties should be considered as long-term rental rather than true purchase. For all practical and value purposes ‘999’ years ownership is treated like freehold. Q-Are student flats/pods a good investment? These are units built by developers and managed by the student letting companies and sold by agents as investments. However, they have high management costs and service charges, come with shorter leases and cannot be sold to anyone other than an investor. This is the biggest issue as you cannot exit the investment unless you find another investor. Thus, the market value does not rise. Typically, these are sold by aggressive sales agents and we have had many customers who have contacted us wanting to exit such investments. They are also likely to be affected by changes in education policy (e.g. rise in fees; thus, depressing demand). However, there may be some units which offer good value for money. It is best to buy from an existing investor who wishes to exit– not directly from the developer. Q- Will I have to pay UK tax? Most of our customers e.g. those from Europe, commonwealth or those from countries with Treaties with UK may qualify for an allowance of about £12,500 per person per year – which means that the first £12,500 per year in the UK is not taxed. This may enable you to get TWO standard 2-bed houses tax free. Then, if your annual income is more than £12,500 you will have to pay 20% tax on net rental income after all costs that is above this level. After purchase, we can help you with HMRC NRL registration process, so that your rent is paid to you without any deduction of tax. Vast majority of our overseas customers are able to do this. If you are a couple then you have a total allowance that is double these figures. Q- Is buying a house better than buying a flat/apartment? Apartments are popular in city centres; they are leasehold units so may have high service charges for common facilities. The new leases can vary and the service charges and ground rents can increase at 5 year intervals. Net rental yields are much lower than terraced houses. Over the past 10 years, many flats were built and these were sold by developers at high prices. Thus, there may be limited capital growth as prices are already too high. Off-plan or under-construction property is especially risky. Q- Is the purchase process secure? Yes. When purchasing the investment properties, the reservation agreement clearly lays out the terms. Funds are held in client accounts (where, legally, funds belong to the customer) and your solicitor ensures registration is completed under your name at the UK Land Registry after exchange of contracts and full payment. All of the Solicitors recommended and used in the purchase process are full regulated members of the UK Law Society. Q- Does a UK property purchase give me any automatic visa or residency rights? No. Purchase of any property in the UK does not give you any automatic residency or work rights or any permanent visa in the UK. As an investor, it will be easy for you to get visit visas but you do not get automatic residency or the ability to work in the UK. If this is your main aim – then you should not buy a property but seek legal immigration advice first. Q- Can I buy a larger or semi or detached property with the same management and guaranteed rent deal? We limit this offer to the popular and best value low cost properties. Larger properties tend to have lower rental yields and are harder to rent out. However, we do offer 3-bed semi-detached properties in our range for £129,9995 with lower Guaranteed Rent %. Q-What is the difference between an “own use” property and an “investment” property? An “investment property “is one that is designed to give good rental yield and capital growth. It should be easy to resell and easy to rent out. It should have low running costs, be tax efficient and fall less in value in the event of another recession. In the UK, the lowest cost smaller properties are best suited for this. Such a property can also be used as “own use” although most clients leave them rented out. An “own use” property is purchased with personal considerations in mind. Location (near family, work), Size, garden area, the nature of the local community, and other features that are important to the buyer are on top of the list. Typically for many buyers, such properties tend to be in the South, are larger, more expensive and not very good for investment returns. A flexible option for buyers considering an own use property – is to buy an investment property and rent an “own use” property if and when required in the future. Use the income from the investment property to pay for the rent of the own use property. This is especially useful if your long term plans about location and requirements are not 100% finalised. Q- Can I buy similar properties in other areas of the UK with the same management and guaranteed rent deal? No. These properties are located in the North West – Lancashire County, where prices are low and rental demand is high – so these are the best for investment. We do not offer properties in other areas, as the risks are higher for both you and us due to the lower investment returns. Also, due to the popularity of these properties, we have our own management teams in the North West and do not have to rely on third parties – so we can keep our costs low and also be 100% directly accountable to our clients. Q-Should I buy the property Jointly with My Spouse or Child? Many couples buy jointly under “Joint Ownership” so that both of them own the property equally. In the event of one passing away, the property automatically goes to the other 100%. Parent and Child also sometimes buy under Joint Ownership so that the property automatically passes to the child when the parent passes away. Up to 4 people can buy jointly and there is a small extra admin fee added to purchase costs if there are more than 2 owners. Another type is called “Tenants in Common” multiple Ownership whereby each person has a fixed share (e.g. 25%/75% or 50/50) and if the person passes away their share goes to their estate or as per their will – not necessarily the other owner. We do not normally use this form unless specifically asked. Q- If I wanted to re-sell my investment property in a few years, could you do this and get it done quickly? Yes. We can help you re-sell your property and we can also buy back. Normally, your solicitor will be involved and the re-sale process will take about 3 months and you should budget for this. If you are looking to re-sell well within 2, you should not purchase, as you may not make much profit due to purchase and sales costs. Q-What is Net Guaranteed Rent? We offer the Net Guaranteed Rent System as standard. Gross Rent System – 8 %: This is the market rent for properties in this area. A property costing £59,999 will on average deliver £4,800 gross rent if fully occupied for the whole year with a regularly paying tenant and no void periods. The rent you actually get would be less than this on average and if you are unlucky and get a bad tenant or a long vacant period you may get much less. On top of this the agent would charge you a management fee which can vary from 12% to 18% of the rent. They would also charge your for repairs and maintenance as these arise. -Any other reason why rent is not coming in. Effectively the agent becomes your tenant and agrees to pay the rent no matter what. On top of this the agent would charge you a management fee which can vary from 12% to 18% of the rent. They would also charge your for repairs and maintenance as these arise. This is the most important figure and is the system we operate. This is the net rent you get into your bank account after ALL costs and is guaranteed – no matter what. For H2 type house costing £59,999 you get Net Guaranteed Rent of £3,600 per year. On top of this you get capital growth in value with houses expected to double in value over next 10 years. -There are NO management fees to pay us when you are on Net Guaranteed Rent. Most agencies charge 10% to 15% + VAT = 12% to 18% management fees and this would not apply. This is the system we operate as default. The net rate of 6% per year is guaranteed for a minimum of 3 years and after this automatically renews (as per wishes of owner) each year at the same rate unless rents in the market have changed significantly. Our Net Guaranteed Rent System also includes the Free Standard Maintenance Package shown below for the first 3 years. Overall Net Guaranteed Rent system is better than getting Gross Rent and basic Guaranteed Rent. It gives you certainty of income with no worries – and on average the net rent you actually get is better. Q-Why are such low-cost investment properties from Find UK, better than other properties? Properties are recently renovated with Guarantees in place to avoid future repair costs and reduce risks. Rental yields are guaranteed providing certainty of income. Processes are designed for UK expats and overseas investors or those who want a “hands off” approach, with full support for all aspects of the purchase and subsequent management. Q-What are the KEY STEPS in the purchase process for a low-cost investment property? Discuss your requirements and determine that such an investment is suitable for your needs. Look at the property offer sheets and select a type of property. Provide ID information (passport copy photo page, address). All information is kept confidential, but we need this to follow AML procedures. The Agreement is a key document that sets out all of the process and clearly shows what we have to do, and what you have to do. We would follow all of the terms and the process shown in the agreement. You can visit prior to Reservation or later. At the visit you can see our operation, the different areas and the types of properties. Once you are happy with all of the terms etc., you can make a Reservation by signing the Reservation Agreement and lodging 10% payment into the Client Account. All funds stay in the client account until property transfer. Purchase is thus a 2-stage process with initial reservation and then property selection. We work with you in the next 4 to 6 weeks to agree and allocate a specific property of the selected type with which you are 100% happy and then that property is transferred to you and registered under your name at the UK land registry. A solicitor firm from a panel of local independent solicitors that have agreed fixed costs, is used to do the transfer and we oversee the process. After purchase the solicitors provide the Land Registry Title Documents and Purchase Completion Summary to the buyer. You can visit at property selection, or we can send you full details by email and send you the UK Land Registry forms for you to complete in your country. Most clients visit at some stage. Clients normally go on the Net Guaranteed Rent system and your net rental income is paid into your bank account in your country or UK (or elsewhere) at end of each calendar quarter. 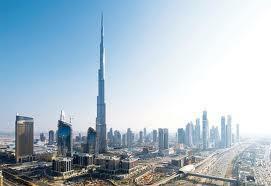 We deal with all aspects of the property and its management. It is a full “hands-off “service. Net Guaranteed Rent is 6% of property price per year. There are no Management Fees or other costs. After purchase we will apply for HMRC reference number so that your rent can be paid without any deduction of income tax (up to £12,500 UK income) per year. 1.Overseas Nationals – Many overseas buyers are looking to the UK for a secure place for medium to long-term investment. 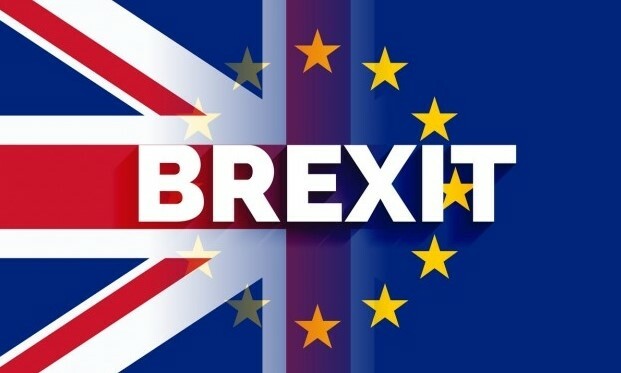 They are not looking to immigrate into the UK immediately (although some may consider it in the future), but simply wish to grow their money securely and with the least amount of hassle. They usually have some link with the UK or intend to send their children to study here in the future. Many may have studied here themselves. They are looking for a company that offers a complete solution; this includes finding investment property, dealing with the purchase process and lettings and management, paying the net rent to them, dealing with UK authorities and possibly managing the future re-sale of the property. Some of them may wish to come to the UK in the future and even re-sell their investment properties to buy an ‘own use’ property. 2.UK Expats- Many of our clients are actually UK nationals who are working or living overseas. They want to invest for the long term in a safe and secure country (i.e. their own country – the UK). Some may eventually wish to retire in the UK and may sell one or more of their investment properties to get an own use property. Others will simply keep these properties for long term investment and they may pass these on to their children. Having a real asset that they own outright and that grows in value, generating good retirement income makes sense for them and they feel safe in having such a property in the UK. Many clients start with one property and in later years acquire more to build a small portfolio (see customer case studies section). 3.UK Residents – Many UK residents living in the south or in London are now considering low cost houses for investment and long-term pension type income. Prices in London and South are very high and % rental yields much lower. The same property which we sell for £60,000 here in Lancashire county near Manchester is over £300,000 in the South. In the past London has done very well in capital growth – however this is less likely to be the case going forward and the risks of buying here are ow higher. Our clients from the UK also like our “hand-off” system where we work differently to normal Estate Agents and Letting Agents and provide a much more comprehensive service looking after all aspects of the purchase and the subsequent long-term management with a Guaranteed Rent System. Our UK clients are mainly either busy professionals working in or near London or those that have retired or coming up to retirement. Q- Why does this service seem to be exactly what I am looking for? You are probably a UK expat or overseas national living abroad. Or you are a busy professional or retired person in the South looking for a company that does everything for you. Our services have developed over the past 10 years, based on the needs of our clients who were originally all resident overseas (they were customers of our sister property companies in Dubai). As we expanded to sell to clients from all over the World, we tailored our service and solutions to meet their requirements and keep them satisfied and happy. This is probably why our service appeals to you. It is indeed what you are looking for! Q- I am seriously interested. What should I do next? Discuss your requirements with us. Provide your full ID information, select the type of investment property needed and get the draft documents and agreements. Thereafter, you can decide to visit if you think you are likely to purchase. You should do your research and make a decision soon. You should not rush to purchase anything, but it is worth getting the information as soon as you can. After a period of price drops and stability, prices are now rising in the UK. Once your reservation agreement is signed, the prices are fixed.